THIS IS the strongest team England have put out for this fixture for many a year, with plenty of familiar faces from the Six Nations in the startling line-up. They will want to start building momentum for the South Africa tour with a good win at Twickenham, but the Barbarians are not short of talent themselves. 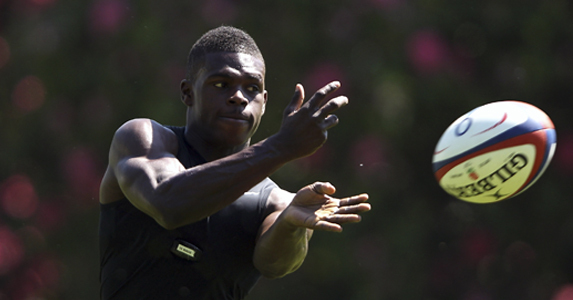 Christian Wade is set to make his debut for a senior England side and this should be just the type of game for the Wasps wing to show his wares. Barbarians games tend to be fairly open – perfect for Wade to use his fancy footwork and lightening pace to great effect. It will also be interesting to see how Tom Johnson and Carl Fearns fare in the back row. They have been in good form for their clubs Exeter and Bath respectively, but they face an experienced Baa-Baas back row in Ernst Joubert, John Beattie and Akapusi Qera, so expect a fierce battle at the contact area. Ben Foden is up against one of world rugby’s most experienced players ever in Mils Muliaina. Both men like to counter-attack from deep and the crowd will be hoping to see plenty of that. Mike Tindall will have a big point to prove as he lines up for the Baa-Baas against England’s centre pairing of Brad Barritt and Owen Farrell. That trio are sure to be dishing out some brutal hits, but it’s the fourth centre – Casey Laulala – who is likely to be the biggest threat in attack. The Kiwi is a great reader of the game, picks lovely angles and has the ability to put players through holes with his soft hands. The England front row face a stern test. The Baa-Baas have two World Cup winners in their front row in captain John Smit and prop John Afoa, and their triumvirate is completed by another ex-All Black Neemia Tialata. If England can gain parity at the set-piece, it will certainly bode well for the physical South Africa tour that awaits, particularly as their first-choice props Dan Cole and Alex Corbisiero are missing. One of the criticisms of England during the Six Nations was their limited attacking game. This fixture presents a perfect chance to develop that area of their game. Baa-Baas matches tend to have a lot of broken-field play and the balmy weather means both sides will have good conditions for running rugby. The pace of England’s back three is significant against a more ageing Baa-Baas trio, so the challenge for Charlie Hodgson is to get the ball to them in space. Then the Twickenham crowd should be cheering a few England tries. 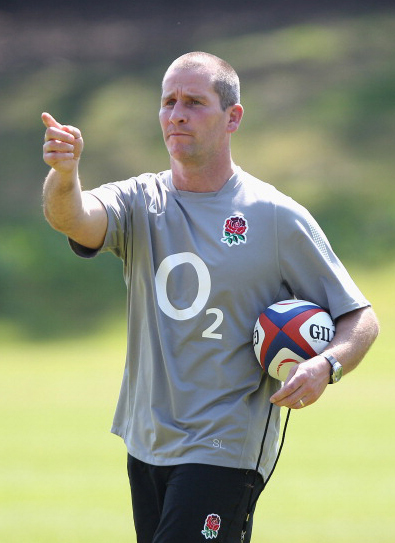 Stuart Lancaster is taking this game seriously and I think he’s going to be repaid with a 12-point win. ENGLAND: Ben Foden; Chris Ashton, Brad Barritt, Owen Farrell, Christian Wade; Charlie Hodgson, Lee Dickson; Matt Stevens, Dylan Hartley, Paul Doran-Jones, Mouritz Botha, Tom Palmer, Tom Johnson, Carl Fearns, Phil Dowson (capt). Replacements: Lee Mears, Matt Mullan, Joe Launchbury, Jamie Gibson, Richard Wigglesworth, Jonathan Joseph, Alex Goode. BARBARIANS: Mils Muliaina; Paul Sackey, Casey Laulala, Mike Tindall, IaIn Balshaw; Stephen Donald, Rory Lawson; Neemia Tialata, John Smit (capt), John Afoa, Mark Chisholm, Anton van Zyl, Ernst Joubert, John Beattie, Akapusi Qera. Replacements: Benoit August, Duncan Jones, Pelu Taele, Raphael Lakafia, Jerome Fillol, Felipe Contepomi, Sailosi Tagicakibau.